1.Go to BIAS FX plugin, right click on the effect unit you would like to control, then choose MIDI/Automation. 2.Find the commands from the list, then pick parameter numbers from the dropdown list. For example, let's set parameter at 0 to toggle pedal on/off here. 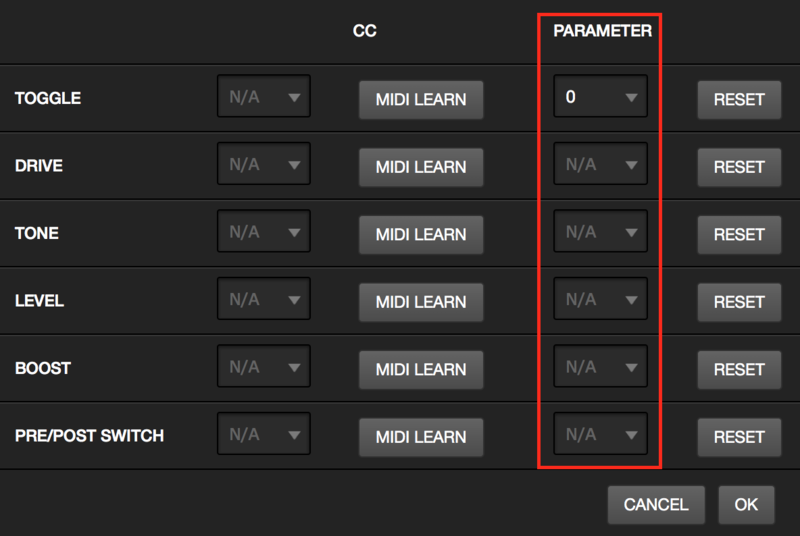 3.Click the little Down Arrow on the track to show Automation, and select the parameter that you want to automate. 4.Arm the W button (write) then hit play to record the automation, and press stop when it's done. 5.Disarm the W and enable the R button (Read) to read the automation that you made.